The United Nations General Assembly room during a break in session. Photo taken by author. The United Nations in New York City held the 55th Commission on Social Development from February 1st to 10th of 2017. This year’s theme was “Strategies for Eradicating Poverty to Achieve Sustainable Development for All.” The commission was attended by member state representatives, researchers, NGOs, youth, and a group of eleven McGill undergraduate students represented the International Relations Students’ Association of McGill (IRSAM). The group has the goal of bringing home what they learned to the McGill and Montreal community. McGill students representing IRSAM at CSocD55. The Commission acts as a forum where member states and organizations can come together to discuss their achievements, set-backs, and failures regarding achieving sustainable development. The McGill representatives hoped to bring a youthful perspective to the United Nations and commence discussion on youth representation, education, and future leadership. An issue distinguished by the students was that youth are disproportionately affected by major issues such as climate change, poverty, and disease. Despite this, current leaders do not actively seek youth representation or worse, young people who bring their concerns to leaders are delegitimized simply due to their age. 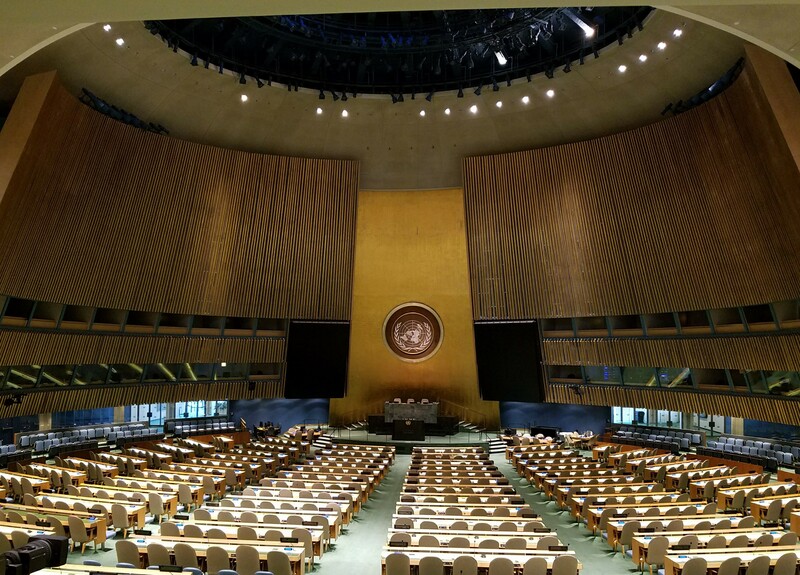 McGill’s delegation of students understood that they are in privileged positions as university students attending the United Nations, and they found it imperative to use the opportunity to speak up for the less fortunate. Accessibility to the government and international organizations is extremely difficult for the majority of the world’s population, many of whom lack even basic access to education, food security, clean water, shelter, and healthcare. Youth in situations of extreme poverty do not necessarily know what services, if any are, available to them. Oftentimes, impoverished people depend on development aid organizations for basic subsistence. In many countries in the Global South, corruption is widespread making, it even more difficult to access aid and employment, as well as causing disillusionment in young citizens due to state inefficiency. Protracted violence is another tragic issue of present generations. Syria has an entire generation of children who were born into conflict, and only know what it is like to live in war. There are ongoing studies attempting to measure the psychological impact of war, human trafficking, and forced migration on children, and it is not difficult to understand that there are extensive inequalities that exist between children in the Global North and South. The Sustainable Development Goals are considered truly universal, meaning they apply to all countries regardless of GDP. Developing countries are especially vulnerable to climate change, so in order to successfully implement Agenda 2030, all countries must actively work to halt and reverse global warming. The world’s youth has a major stake in halting climate change because by the time they become global leaders, it will be too late to reverse the damage that is currently being done. This means it is imperative for international leaders to end the trend of delegitimizing the voices of youth and to commence working honestly with young people to reform policies and protect future generations.